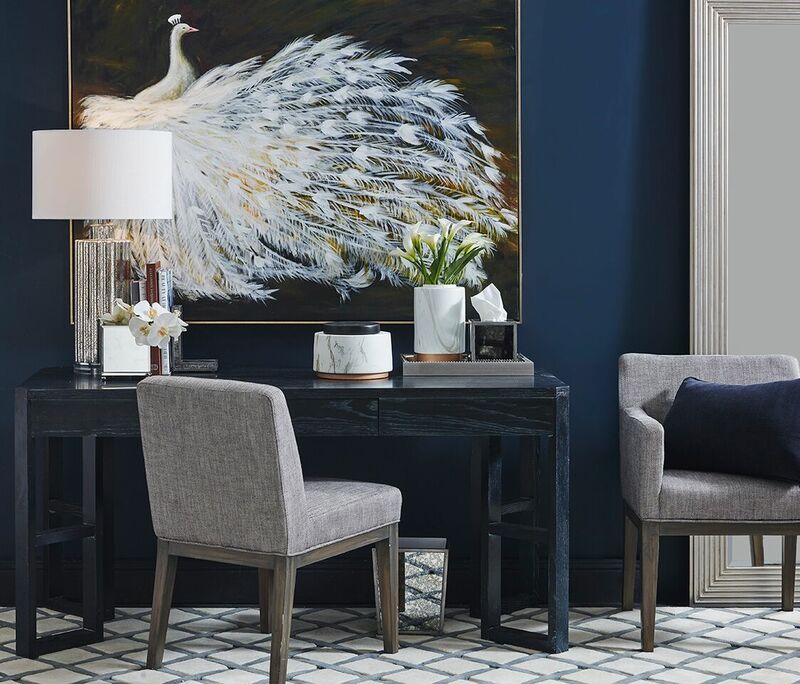 Escape the doldrums of modern office design with the look of a chic, Sophisticated Study. Function and form balance together to offer an indulgent space where you will excited to sit down to tackle your daily work. A mix of rich textures like marble, linen, and mirror provide luxury and practicality. The light decorative accents against the bold, dark backdrop offers a sense of high drama. While the minimalist, sharp lines provide a uncluttered look that is free of visual distraction. The Sophisticated Study is the perfect place to be both inspired and engaged. At The Interior Designer, no matter what your personal style, we can help you achieve the look you want. We offer a beautiful range of hand-curated furnishings and decor and comprehensive design services to help you pull it all together. Contact us today to learn more.